HAL JORDAN (2011) - # 1-3 MINI (DC NEW 52/FLASHPOINT) !!! 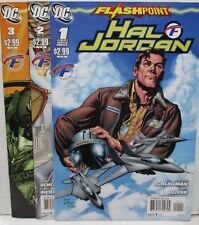 HAL JORDAN (2011) - # 1-3 COMPLETE MINI ( FLASHPOINT / JUSTICE LEAGUE ) !!! This page was last updated: 22-Apr 15:22. Number of bids and bid amounts may be slightly out of date. See each listing for international shipping options and costs.